If there is one thing that you want for your senior or physically challenged loved ones, it is to ensure their welfare. However, we understand that you cannot always give them all of your attention, so why not avail the services of caregivers instead? Our professional and dedicated caregivers at Magnolia Home Care Service can help improve your loved ones’ lives for the better. Read on to know how. Your loved ones remain in excellent health. As much as you wish to keep them healthy, you may not know how to help them stay fit and in good shape aside from cooking healthy meals for them and getting them to their medical appointments. 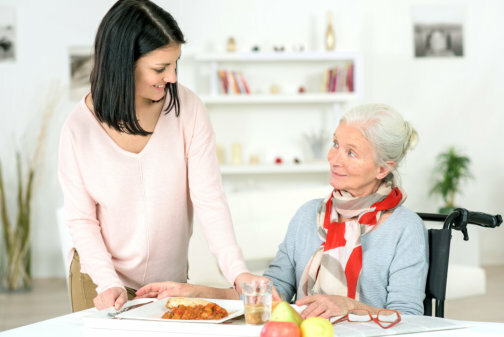 But an in-home care professional can help your elderly and physically handicapped family members get more exercise and eat the right kinds of foods while receiving quality personal care in Georgia. Your loved ones receive a better quality of life. You might be wishing to be everywhere at once so that you can tend to your loved ones’ care at all times. But because no one can be everywhere all the time, your aging and physically challenged family members might suffer. Consequently, they may end up achieving a subpar quality of life. With an in-home care professional to assist them, however, your loved ones’ care and health needs are met. Our home caregivers can provide them with top-of-the-line home care services in Savannah Georgia. Your loved ones can benefit from the companionship. There is safety in numbers with an in-home care professional around to provide assistance to your older and physically challenged family members. With the assurance that your loved ones remain safe and secure, you get the peace of mind that you long for. More than that, if something did happen to your family members that would make them require skilled nursing, our caregivers are equipped with the necessary skills to aid them. Don’t hesitate to contact us for your home care requirements. This entry was posted in Home Care Services and tagged companionship, excellent health, in-home care professional, welfare. Bookmark the permalink.